GST is recognized as Goods and Services Tax. It is a form of indirect tax made mandatory by the government that will simply combine all the different taxes charged by central or state government into a single comprehensive tax. GST online registration has been introduced under the amendment of the Indian constitution as The Constitution Act, 2017. So, GST can be defined as indirect, comprehensive, destination and multi-stage based tax which is implemented on each value addition. According to the new tax act, all the goods and variable services are taxed at different rates 0%, 5%, 12%, 18%, and 28%. 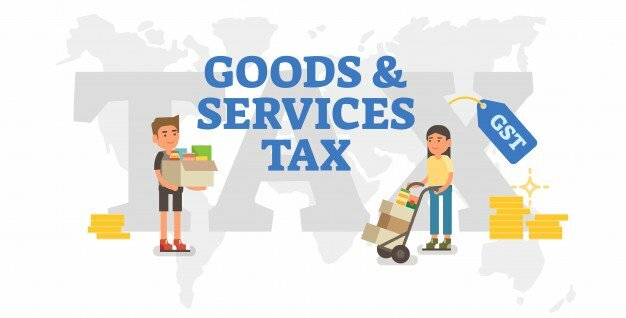 CGST: It stands for Central Goods and Services Tax. It is applied in case of intrastate transactions. SGST: It stands for State Goods and Service Tax. UTGST: It is termed as Union Territory Goods and Service Tax. It is applied in case of transactions under the Union Territories of India. Why It Is Important To Have GST Online Registration in India? Taxes on lotteries, gambling, and betting, etc. Before GST, the Indian tax system was very complex and was full of variable direct and an indirect tax deduction for variable services and goods, but GST has changed it all by making it easier to understand and implement taxation in India. By having GST online registration, you become legally authorized to collect the tax from your purchasers and pass on the credits of the taxes supplied to recipients or purchasers on the goods and services provided to them. Moreover, you will become fully eligible to avail all the benefits and privileges under the norms and laws of the GST Act. GST online registration avails you the benefit of lower tax rated under the composition scheme. It is applicable for the business whose annual turnover is up to RS 1.5 crores. Other than that it provides you better opportunity to avail input tax credit on your purchases. Along with easy and online return filing, it costs you less compliance cost and improved logistics by the introduction of helpful E-Way bill. Moreover, GST also has command over the unorganized economy sectors of India that has also helped in enhancing the Indian economy. In a layman language, GST is basically consumption and destination-based tax, which comprehends majorly excise, service tax, VAT and other state laws into it. It is an important tool for the Indian economy as it avails you the benefit of the seamless input tax credit. Timely GST online registration will help you in avoiding all kinds of interference with the tax authorities. To avail all these benefits and to get your GST Online Registration now drop a mail to Swarit advisors at ho@swaritadvisors.com or call them at+919821399320.